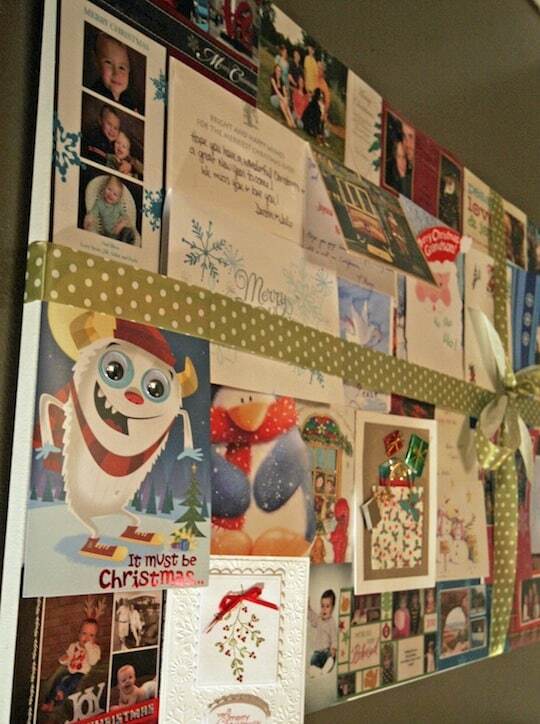 I never know what to do with old holiday cards. 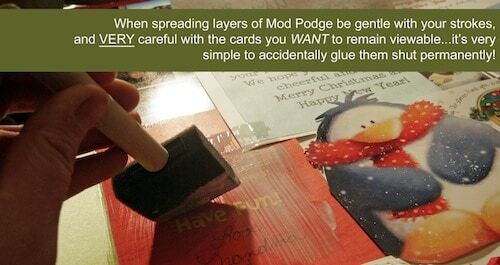 With a little Mod Podge, you can turn them into recycled holiday Christmas card decor! 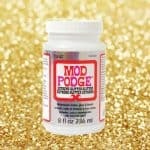 Hi, I'm Becky from Liberate Creativity, and honored that Amy asked me to make a guest appearance on Mod Podge Rocks. 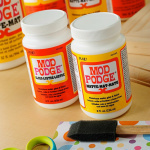 The truth is, Amy has it right, Mod Podge certainly does rock . . . here's a recent project to show you why . 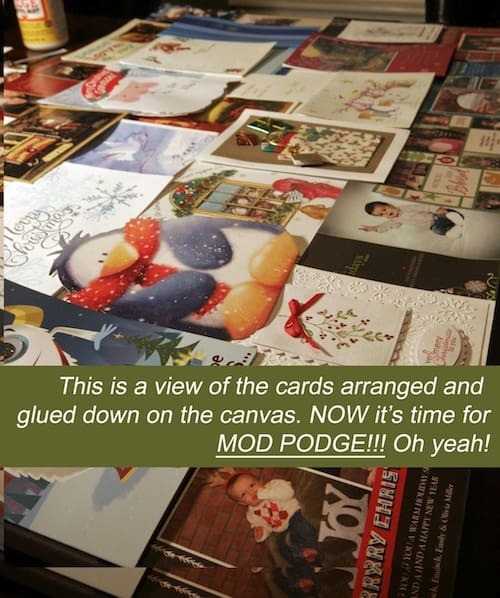 . .
We get a LOT of Chrimstas cards each year! I love reading them and hanging them up . . . yadda, yadda, yadda. But the question is . 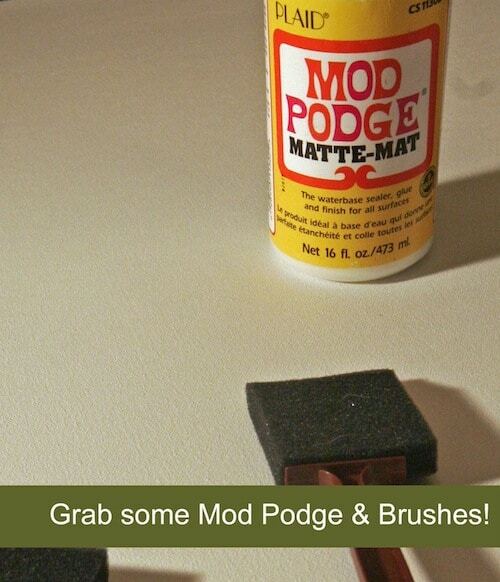 . . what do you do with them with the holiday season is over???? Ummm . . .why not make ALL of them a holiday decor piece for the next years to come???? 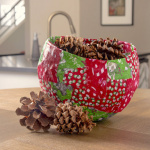 Recycled holiday Christmas card decor! Come visit and bookmark Liberate Creativity! Hope you enjoyed today's project . . .
Sooo cute! 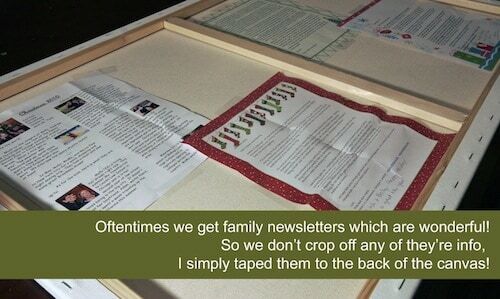 What a great idea for anniversary cards…like a 50th! this turned out way cute! 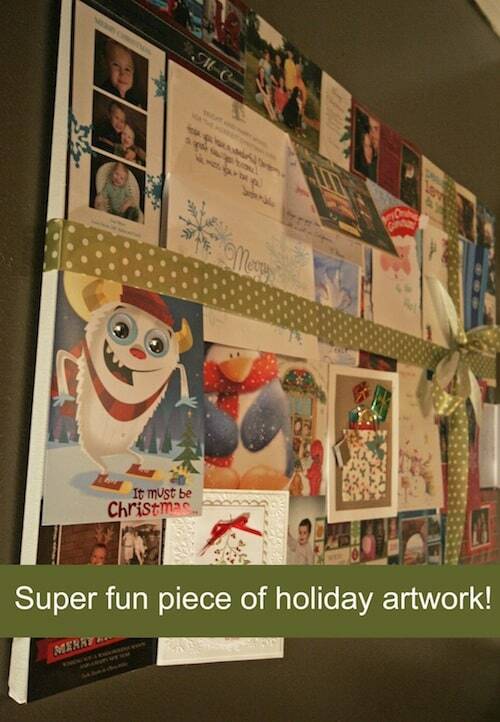 Oooh, I love the idea of a canvas for anniversary cards! 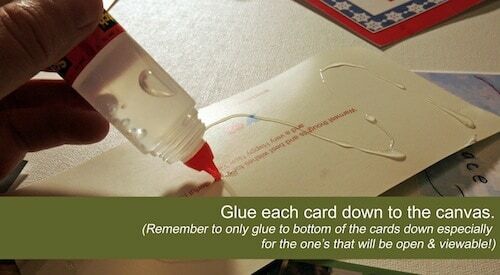 It’d also be great for some of your fav kids bday cards over the years! 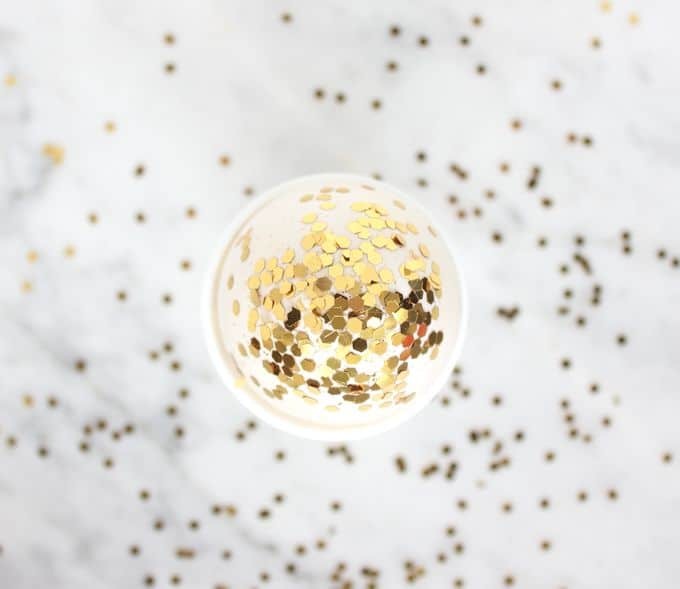 See, this is why I adore blogging….so many creative people! Thanks for the idea! 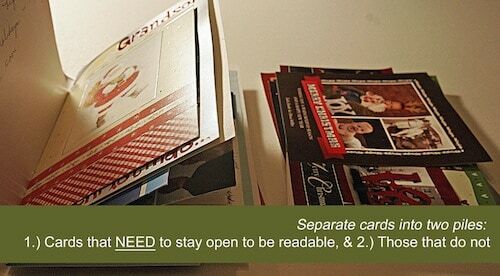 Great way to enjoy your cards longer than 1 quick reading! I love that. 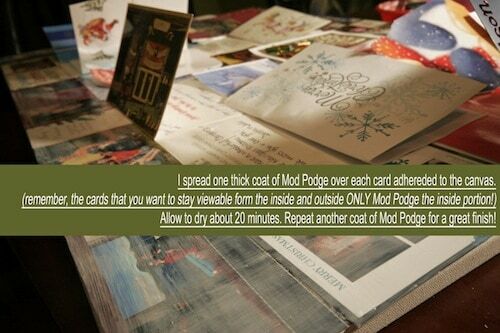 I, too, use Mod Podge to recycle Christmas cards into placemats. We have had ours for over 20 years, and I make some every few years for gifts. AWESOME!!! 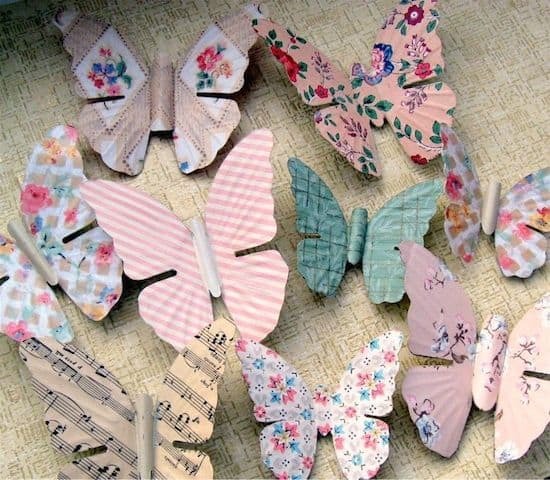 I have always wanted to do something with the cards!!! U rock!!! Thanks!! Super excited! !